Pseudoephedrine is stimulant of the phenethylamine class. The compound is used as a decongestant, primarily for its ability to shrink swollen tissue in the nose, throat and sinus linings. 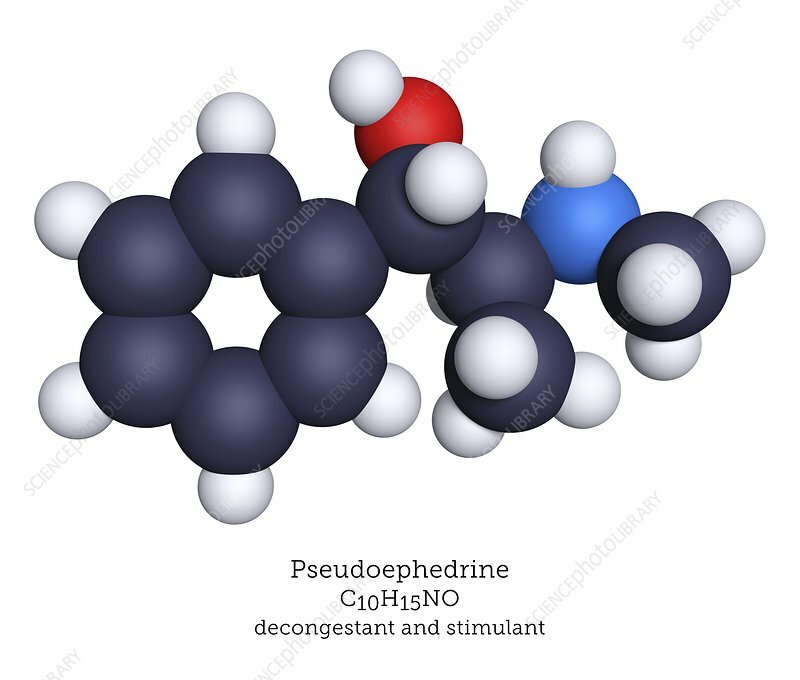 Pseudoephedrine was available as an over-the-counter drug for years but has been restricted in many countries due to concern for its use as a performance-enhancing and recreational drug and as a starting point for the synthesis of methamphetamine. Atoms are represented as spheres and are colour-coded: carbon (black), hydrogen (white), nitrogen (blue) and oxygen (red).